Kevin Turpin II is the President of National Journal. 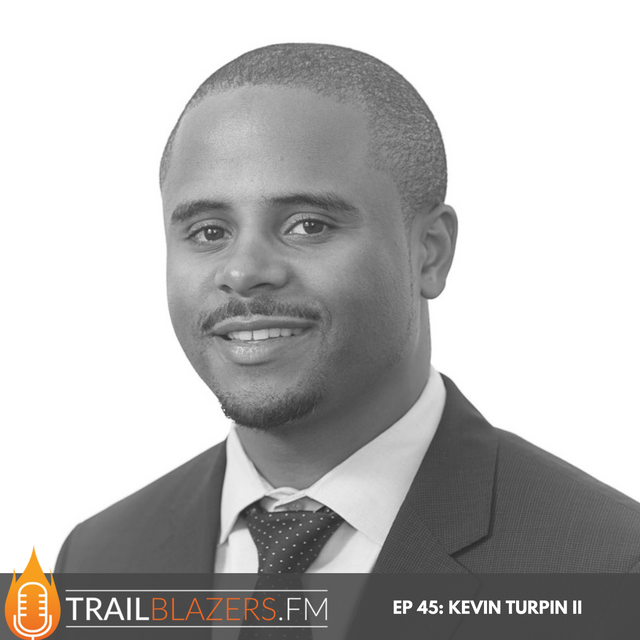 Kevin is one of D.C.'s up and coming trailblazers that's helping lead one of Washington's most established and trusted media brands that serves government and business leaders in the nation's capital. In his various roles with National Journal, he's had exposure to product development, strategy research, digital and marketing. In today's conversation, we unpack some of his tips and wisdom around hiring and leading people. And we also discuss some of the most important things that go into doing product development. It's a power packed episode, sure to provide you some inspiration and knowledge, that you'll be able to apply in your own career or business. [spp-timestamp time="02:45"] What are you most grateful for in your life right now? [spp-timestamp time="10:05"] What sacrifices have you had to make, especially as a young African American man, to propel you to become President of National Journal? [spp-timestamp time="14:00"] What have you learned about hiring and leading people and what's been your approach? [spp-timestamp time="19:55"] What have been some of your failures and what have you learned from them? [spp-timestamp time="29:35"] How do you plan to shift strategy to achieve your future goals and leave your mark on National Journal and the people you've been blessed to now impact? [spp-timestamp time="34:40"] Excluding National Journal, what companies or businesses do you admire the most and why? You're only as good as the people on your team! Move as fast as you can! Kevin Turpin II is the president of National Journal. As the former senior vice president of National Journal, Turpin led the product development, strategy research, digital, and marketing teams. In this role, he oversaw product research, evaluated potential partnerships, and established operational infrastructure for the new product pipeline. For more than a decade working at National Journal, Turpin has produced successful proposals to increase profit margins, identified efficiencies in vendor relationships, and created new revenue lines for the organization. Turpin also built a strategic advisory group of 60 government affairs executives from Fortune 100 corporations and influential trade associations; resulting in the launch of National Journal’s Leadership Council. He is also responsible for the launch of Policy Brands Roundtable and the Network Science Initiative. He began his career gaining deep insights into the Washington media market and the needs of public policy professionals while serving in roles ranging from sales to manager of signature National Journal products such as The Hotline. A proud Hoya, Turpin is a graduate of Georgetown University.